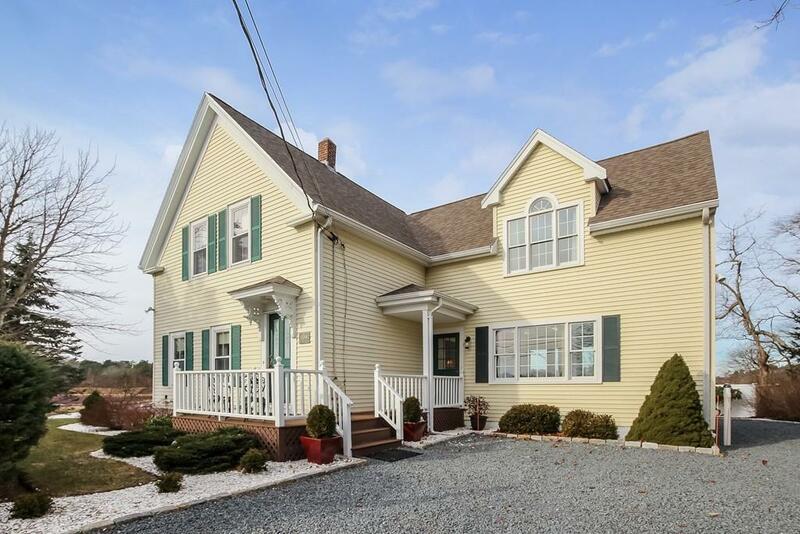 This lovingly maintained quintessential New England style colonial exudes charm & character throughout. Soak in the spectacular and ever changing scenic views here from the Bay on one side & cranberry bogs from the back.This special property has a versatile floor plan lending itself to many options for todayâs buyer needs~ multi-generational, blended, in-home business, in-law suite, or vacation home option w/ close proximity to beaches, Cape Cod Canal & easy access to highways & bridges without bridge traffic. The main house features updated kitchen w/stainless appliances, eat in kitchen, & mudroom exit to back deck for grilling & enjoying the nature & beauty surroundings. Living/dining room combo has gorgeous molding, gleaming hardwood flooring, views of the bay w/ must see extraordinary wall murals of the outside scenes creating a peaceful atmosphere & experience inside.3 Bedrooms upstairs w/renovated full bath.Addition offers 2 spacious rooms with more views & Half bath. WOW!